I woke up at Washingborough and on the spur of the moment decided to go to the Sleaford Boat Rally at the weekend. I left the mooring prepared for a long trip. It isn’t far but with the lack of scenery and lots of straight bits it is tedious in places. 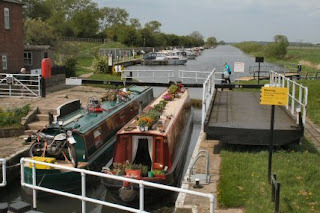 After stopping to make a cup of tea at Fiskerton Fen moorings I reached Bardney Lock. The sunk restoration project still holds water or should that it is now above water level. It still floats but really needs work to keep the rain out. Since I was at Saxilby I have been bumping – metaphorically speaking – into a couple heading southwards towards Boston. They were moored behind me at Lincoln and stayed the night there. That is a place I have not used yet but it seems that they had a quiet night with no problems. Good for Lincoln. 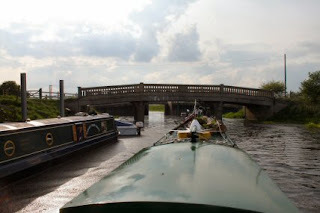 I met them again at Fiskerton. 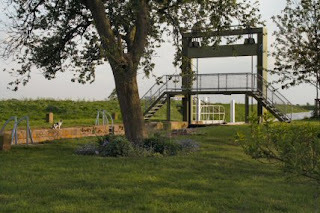 By the time I had used the facilities at Bardney they had caught me up so I waited for them to arrive and we went through the lock together. They are looking to visit Spalding for the flower festival at the weekend. This time I carried on past Tattershall and on towards the entry to the Kyme. 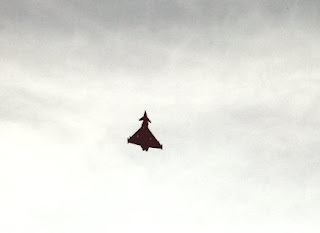 On the way there is plenty of air activity with the planes from Coningsby flying over. That loud I couldn’t hear the engine!! 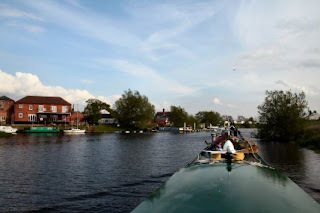 Soon Dogdyke appeared and with mooring outside the pubs there. Very summery looking it was too. I am on the look out for a diesel supply and couldn’t make up my mind as whether I should go on to Antons Gowt, where some is available, or go into the Kyme and hope it would last. A look at the watch decided it for me. I preferred a mooring for the night. 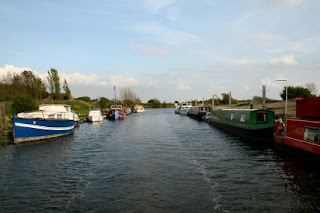 Turned into the Kyme and guess what – no moorings. In through the flood gates and keep going. The water is very clear and all along you can see the bottom of the canal. 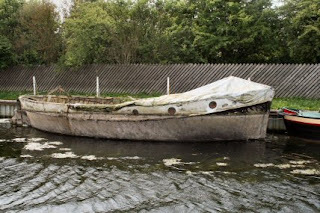 Now and again the lack of depth shows with the silt being disturbed by the prop wash.
At last I get to the Bottom Lock. A very nice job has been carried out on the lock. New gates and lots of work were done in 2008. Very nice it is here. There is also a distinct lack of the weed that was here a few years ago. Dash seemed to enjoy it anyway. My only down is that the guillotine lock takes about 300 turns to open it up. And what makes it worse is it takes the same number to put it back! I am not used to all the hard work.